Head on, the 2018 Rio is both approachable and athletic. 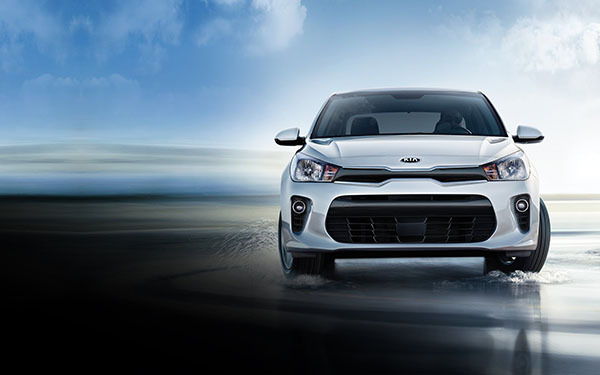 Featuring multi-reflector halogen headlights, available fog lights, and Kia's iconic tiger-nose grille. 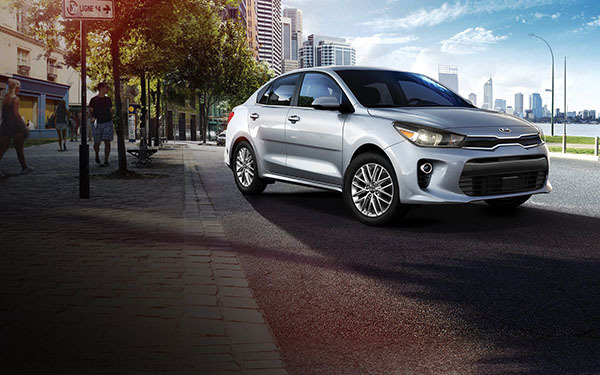 Bold strokes and strong lines give the Rio its aerodynamic silhouette. And available 15" split-spoke alloy wheels show off its sporty side. Eye-catching tail lights and a unique bumper graphic emphasize the all-new Rio's wide and stable stance. The scenic route, every time. Enjoy the view no matter the destination. The 2018 Rio features a clean, modern cabin with driver-focused innovations and a streamlined layout, plus flexible seating and storage for optimized versatility. It's the sleek interior designed to fit, and enhance, your lifestyle. One part fun. One part function. The Rio's redesigned center console has everything you need conveniently within reach. The innovative two-tier tray is useful for storing your cell phone or other small items, and the modern floating display allows for a bigger screen while staying true to the interior's clean, uncluttered look. 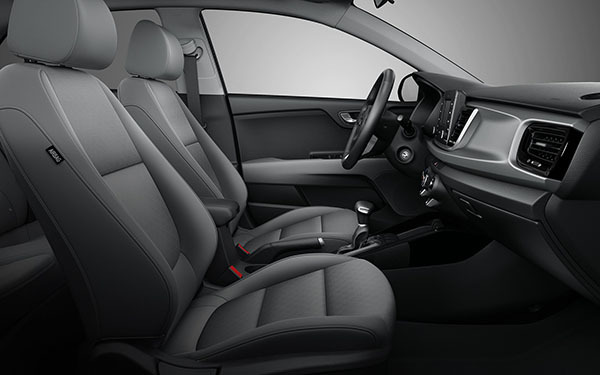 Take a seat in the Rio's stylishly comfortable cabin, packaged with plush seating, an available leather-wrapped steering wheel, and a 6-way adjustable driver's seat for personalized comfort. We've even lengthened the sliding center armrest to give you more support while you drive. Be road-trip ready at a moment's notice. The 2018 Rio features a wider trunk opening for faster, more convenient packing. 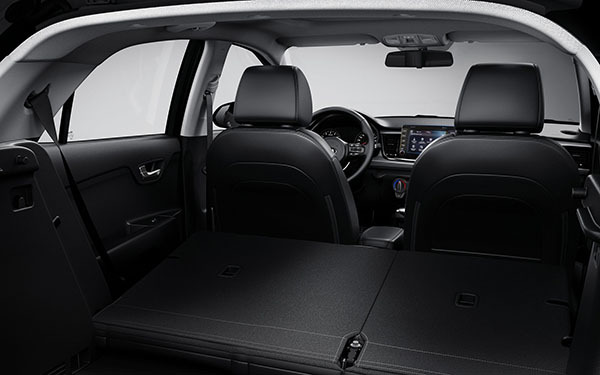 And the 60/40 split-folding rear seat offers plenty of ways to comfortably fit your cargoeven the extra-long items. 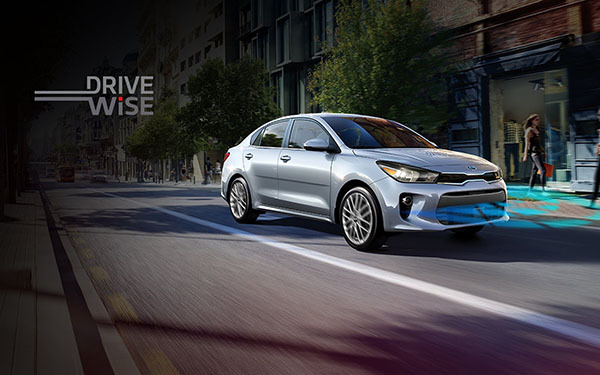 Stay alert with Kia Drive Wise, Kia's suite of driver-assistive technologies designed to take action when you need it. The available Forward Collision Warning System (FCWS) offers audible and visual alerts if it detects a potential hazard in your path. 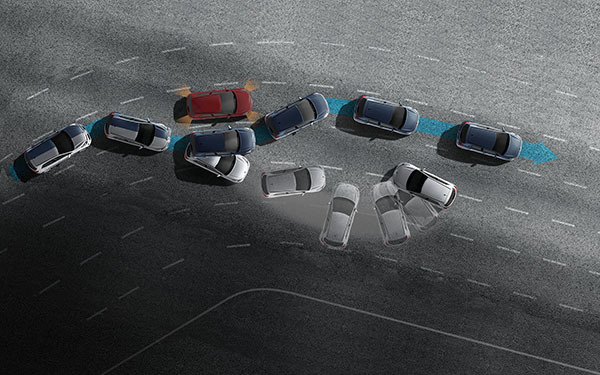 And the available Autonomous Emergency Braking (AEB) system can automatically apply the brakes if the system anticipates a frontal collision. Meet your co-pilot for staying connected. 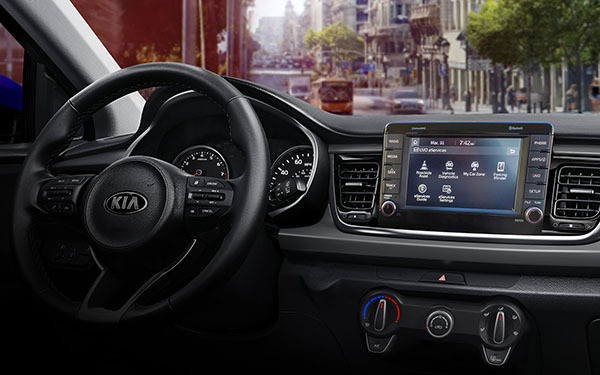 UVO, Kia's exclusive connectivity system, comes with intuitive smartphone in-car connection, Bluetooth® hands-free wireless technology, and convenient tools for maintaining your Rio. Discover more at www.MyUVO.com. 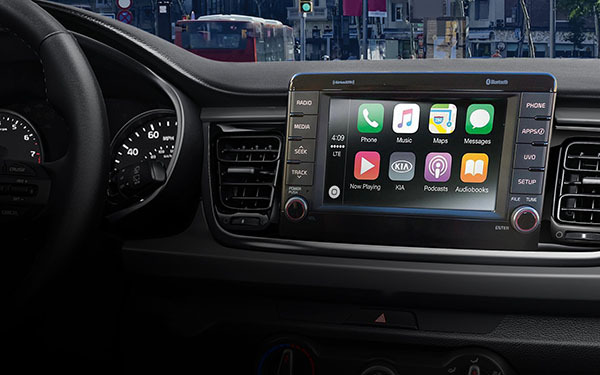 Apple CarPlay™ makes it easy to stay connected. Send texts verbally, receive calls, and access your favorite apps all while keeping your focus on the road-without touching your phone. Learn more about Apple CarPlay™ and download the guide. Take all your favorite Android features on the road. With Android Auto™, you can make calls, dictate texts, and access voice-guided navigation directly from your Rio. Learn more about Android Auto™ and download the guide. Keep track of your Rio even when you're not in it. My Car Zone™ lets you set speed limits, curfews, and boundaries of where you want it to go, and alerts you when they've been broken. UVO's intelligent system helps you stay on top of maintenance with regular diagnostic checks and checkup notifications. The Rio was designed to be smart and intuitive, and our interactive Augmented Reality (AR) Owner's Manual is no different. Just scan the dash or under the hood with your mobile device, and you'll see features of your new Rio pop up on your screen. Or simply sit back and take a tour from the comfort of your couch. It's how Kia puts innovation into the palm of your hand. 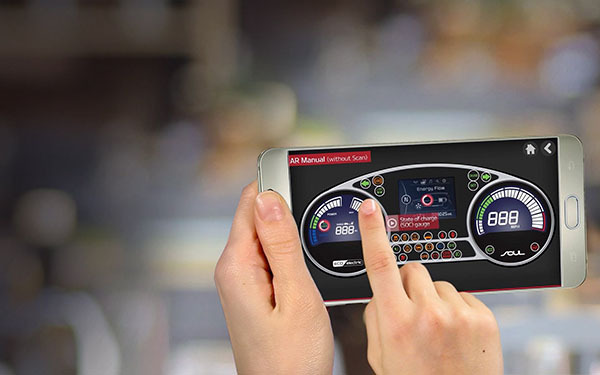 Download the AR Owner's Manual App for your compatible Apple® or Android™ device. Manufactured with high-quality, insulating materials and 30% more Advanced High-Strength Steel (AHSS), the 2018 Rio delivers its smoothest and quietest ride yet. 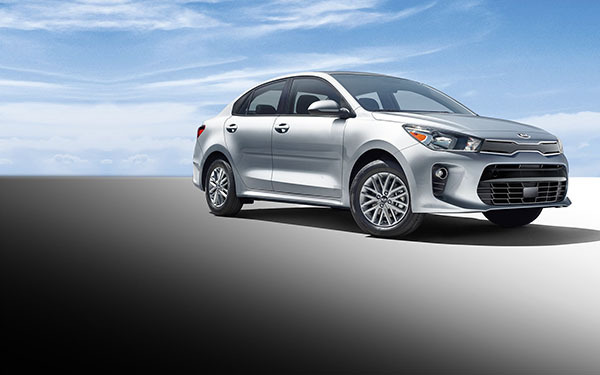 Every vehicle in Kia's lineup is engineered with your safety in mind. And the 2018 Rio, with its suite of passive and active safety systems, is no different. 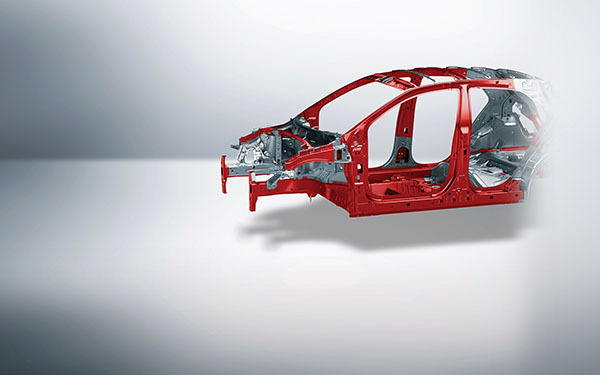 Reinforced with 30% more Advanced High-Strength Steel for increased rigidity, the next-generation Rio is built to be strong-and to help protect you and your passengers when it matters most. 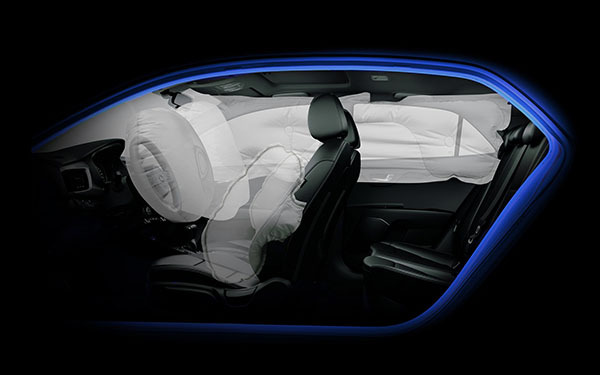 Heightened protection comes standard with the Rio's advanced airbag system. It features dual front, side, and side curtain airbags, as well as sensors that can detect the level of an impact and the presence of a front-seat passenger. You can fit a lot of big adventure into the compact 2018 Rio. 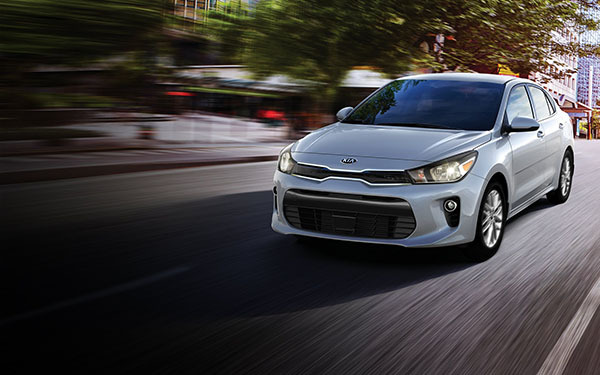 With all its technology, connectivity, and creature comforts, it inspires fun for any road trip. 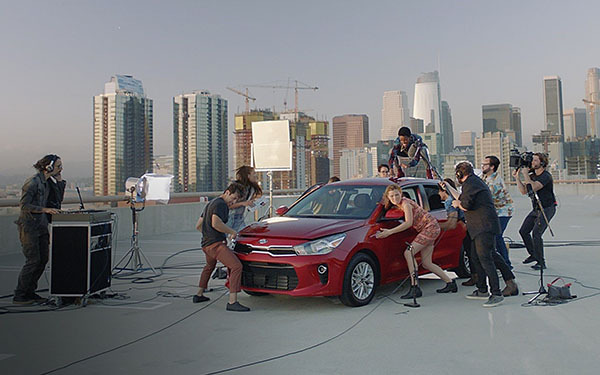 It even inspired YouTube celebrity Kurt Hugo Schneider to direct a new music video featuring Sam Tsui and Alyson Stoner. 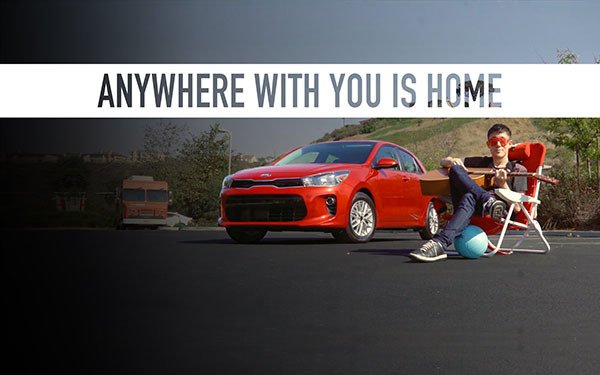 Listen to the love and imagine all the roads to adventure you can explore with you, your friends, and your Rio. Where will the wind blow you #inriolife? 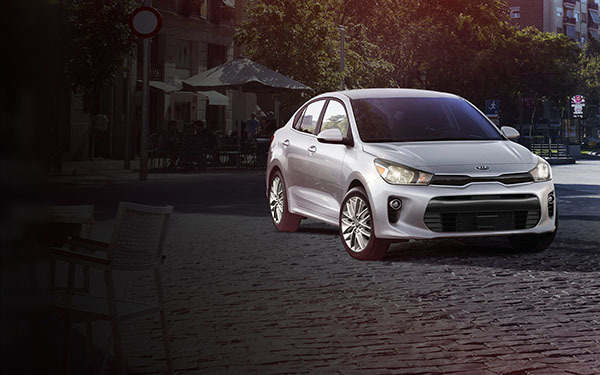 The 2018 Rio may be small, but it's packed with high-tech features and driver-focused comforts so that you can go big. Musician Julian Smith did just that in the next-gen Rio 5-Door. Recording rhythmic sounds using the hood, pedals, and everything in between, Smith and his crew pack in and out of the Kia with ease. Now that's music to our ears.